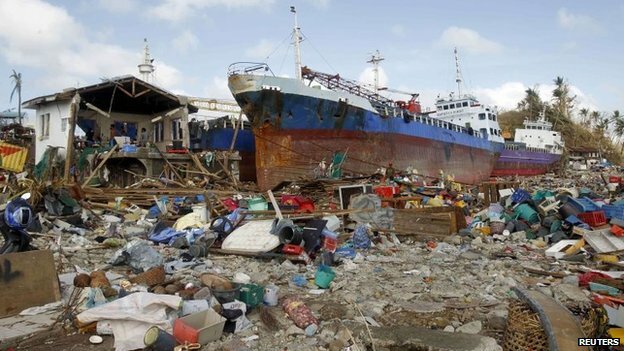 Whole cities were leveled by Typhoon Haiyan that recently hit the Philippines - devastation being described as apocalyptic. For those of us who pay special attention to these things, the descriptions and accounts coming from the survivors sound all too familiar. There are the shortages--clean water, food, shelter and medical supplies. Relief from government forces has been slow to come. No matter how well organized the relief forces are, rebuilding a broken supply chain and mobilizing vast amounts of resources takes time. Folks now have been on their own for days and are getting desperate. Even many of those had prepared for the storm by stockpiling food and water found themselves separated from their things by flooding and the tidal surge. With homes washed away, people are sleeping in the open or under what shelter than can improvise from the wreckage. Of course, there has been widespread lawlessness, violence and worse. In Tacloban, one of the hardest hit cities, there are reports of escaped prisoners running wild. Without food or water, average people have turned to looting the remnants of malls and supermarkets to feed themselves. We've seen these kinds of stories play out time and time again - Hurricane Sandy (to a lesser extent), the 2011 tsunami in Japan, Hurricane Katrina, the 2004 tsunami in the Indian Ocean and countless others. While you may be preparing for something other than a major natural disaster, they provide clear lessons for what happens when modern society falls apart. FerFal has a good 'lessons learned' video up on YouTube. Lesson 1 - get out of dodge beforehand, if at all possible.